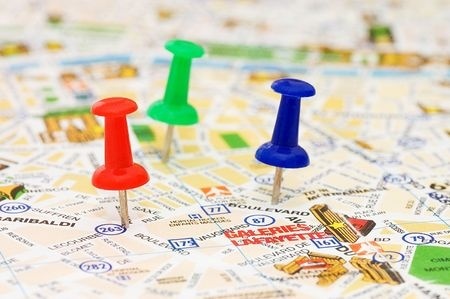 Keeping track of your field service team can be difficult at the best of times. 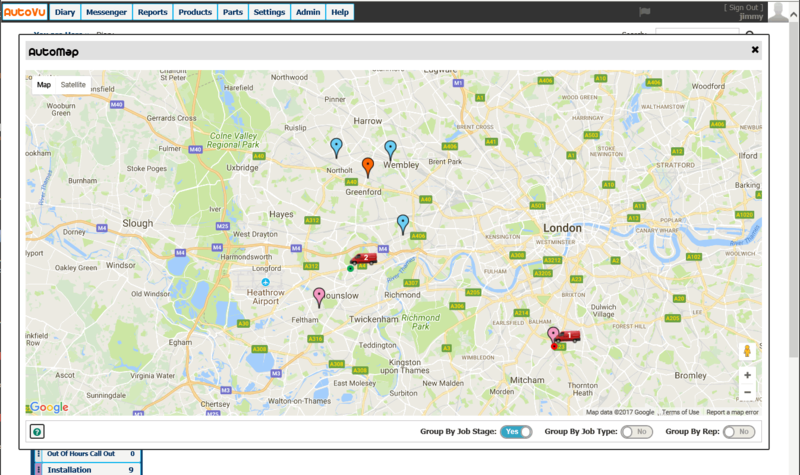 With AutoMap from AutoVu Solutions you can not only identify where each location is, but you can also include live tracking data from each vehicle that will indicate on the same map where each vehicle is currently located. Using this live tracking data, you can instantly get an accurate ETA to the next or any other job on the technician’s route. An optimised route not only saves time, it improves fuel efficiency and increases turnover. Add to this your relations with customers by giving them an up to the minute ETA for when the technician will arrive on site. Each technician has an app that allows collection of job report, site pictures, signature and any customisable test or examination certificate. This data is instantly uploaded to Autovu. If the technician is in a poor signal area, the data is uploaded as soon as the reception improves. 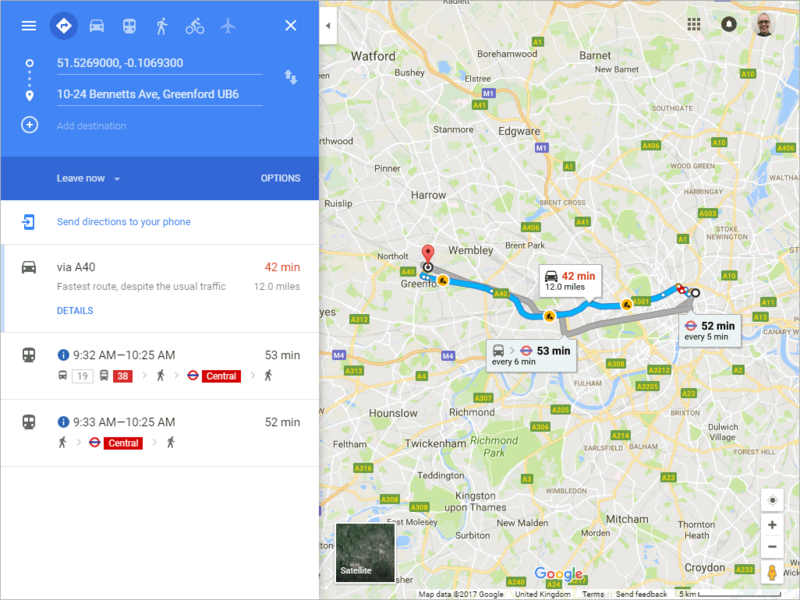 AutoMap not only shows current locations, but you can also replay a vehicles route or show where a vehicle was at any point in time. You have instant access to 12 months’ worth of history for each vehicle. 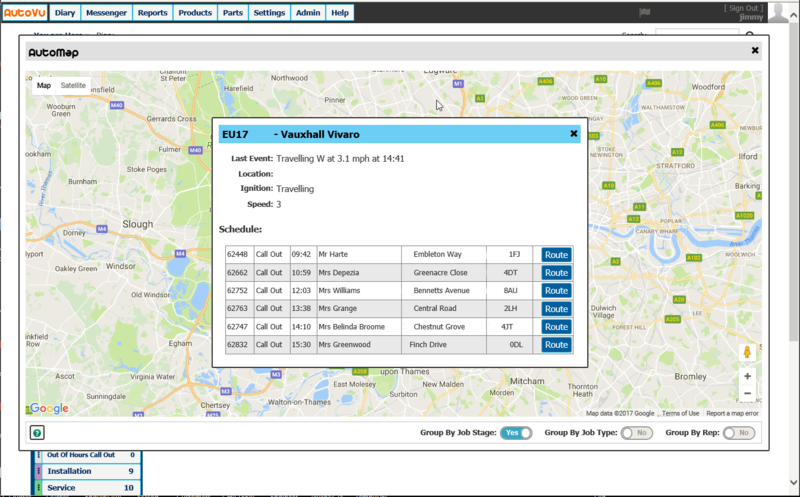 The system can also be configured to send email reports each day that shows the stop / start times and locations for the previous day. 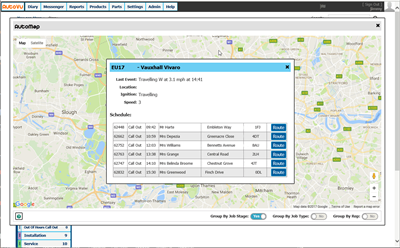 We have integrated the Award-Winning Quartix vehicle tracking system to bring this advanced functionality to AutoVu Workforce manager. By integrating these two great technologies you have an immediate view on current activities for each day. 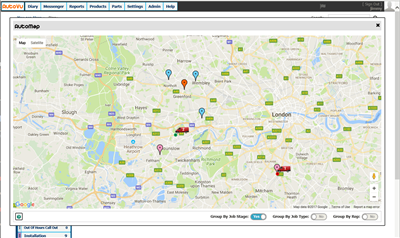 If you would like to find out more about our AutoMap features and our integration with Quartix, give us a call today on 0845 474 8824 or drop us a line on the Contact page.